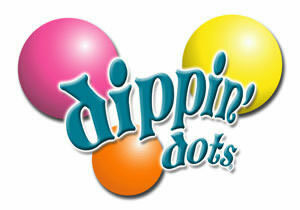 : Cost of Dippin' Dots Franchise? How Much Does It Cost to Own a Dippin' Dots' Franchise? Owning a Dippin' Dots frozen desserts franchise can be a lucrative business, but it does have some initial financial requirements. To open a single frozen desserts location, the company requires that potential franchisees have liquid assets of at least $80,000. The franchisee startup costs associated with owning a Dippin' Dots frozen desserts franchise are similar to those of Pinocchio''s Original Italian Ice CreamYogurt StopFrozen Yogurt Store Developer. Dippin' Dots falls under the 'food' and 'mobile' franchise categories. Across these multiple categories, it is further subcategorized under 'ice cream & frozen yogurt'. See how the investment level of Dippin' Dots' compares to those of other available food related franchises. We are the makers of the original beaded ice cream with fun fresh flavors. We make the ice cream, you make the fun! There is no expensive machinery with the Dippin' Dots Territory Franchise Model and three ways to generate sales that are very mobile including at fairs, festivals, area freezer placements and high traffic outdoor locations. Dippin' Dots is not currently accepting new franchise inquiries through this site. Please see our comprehensive directory for currently available franchises near you. Incorporated Name Dippin' Dots Franchising, Inc.